We are pleased to announce Punjabtronix UK tour dates in July 2017. For tour dates visit the Punjabtronix tour page. We also released a new video yesterday introducing some of the musicians from Punjab that will be working on the project, including Vijay Yamla, Dheera Singh and Naresh Kuki. Punjabtronix is an exciting new live collaboration between established British-Indian electronic music producer Swami and traditional Punjabi folk musicians, synchronised with unique live mixed digital video projections, produced by Bristol based filmmaker John Minton. 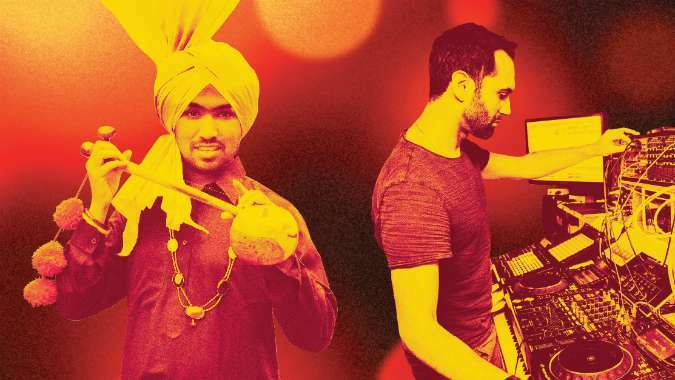 An exciting international project produced and commissioned by Asian Arts Agency in partnership with Watershed Bristol, Punjabtronix is part of Reimagine India 2017, a cultural exchange programme developing creative collaborations between art and cultural organisations in England and in India. Supported by Arts Council England and British Council.